My iPhone 7 Plus Is Not Ringing! Here's The Real Fix. 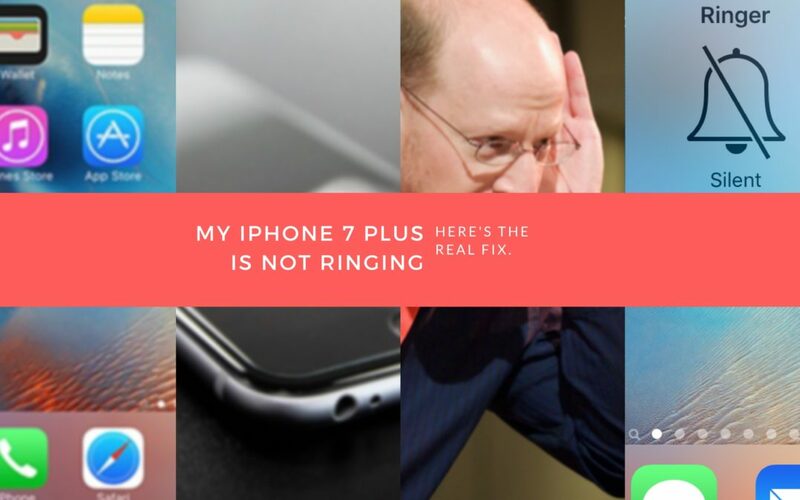 You are at:Home»iPhone»Sounds»My iPhone 7 Plus Is Not Ringing! Here’s The Real Fix. 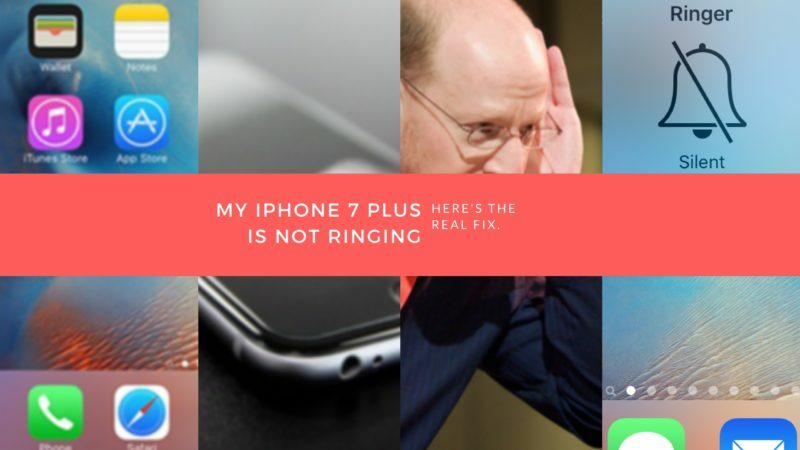 My iPhone 7 Plus Is Not Ringing! Here’s The Real Fix. Why Isn't The Left Speaker Working On The Bottom Of My iPhone? It Is! When you start to notice iPhone 7 Plus speaker problems, you may also notice that no sound is coming from the left grille on the bottom of your iPhone 7 Plus. Don’t worry, this is perfectly normal because the left grille isn’t actually a second speaker. Although they look identical, the left grille is a barometric vent, which helps your iPhone 7 Plus measure altitude. When Apple removed the headphone jack on the iPhone 7 Plus, they decided to add the left grille in it’s place for two reasons — to add the barometric vent and make the bottom of the iPhone 7 Plus more visually appealing. It may be a bit confusing, but the left grille is functional and aesthetic. The second speaker is really in the earpiece above the screen of the iPhone 7 Plus. Is My iPhone 7 Plus Speaker Broken? Right now, we can’t be certain. Before we can diagnose the problem, it’s important to understand that both the software and hardware play a role whenever your iPhone 7 Plus makes a sound. The software of your iPhone 7 Plus determines which sounds to play and when to play them. The hardware converts those software instructions into the sounds you hear from the speakers located in the earpiece of your iPhone 7 Plus, and from the right grille at the bottom of your iPhone 7 Plus. The Ring/Silent switch is used to quickly and easily turn your ringer on and off. If your switch is flipped to silent, your iPhone won’t ring. How Do I Check My Ring/Silent Switch? Take a look at your Ring/Silent switch, which is located on the left side of your iPhone. You’ll know the your iPhone is on silent when you see a small, orange line because switch is pulled away from the screen. To turn your ringer on, pull the switch towards the screen. When you flip the Ring/Silent switch, a notification will appear on the screen of your iPhone indicating that you turned the Ringer on or off. If the volume on your iPhone is too low, you may not be able to hear audio output from your speakers or headphones. It’s easy to flip the silent switch or accidentally turn the volume all the way down on your iPhone, especially if you’re using a big, bulky case. How Do I Turn My iPhone Volume All The Way Up? Tap or hold the volume up button which is located on the left side of your iPhone. Use the Ringer and Alerts slider to turn the volume all the way up. If you don’t hear anything, you may have a problem with your iPhone speaker. If you’re already listening to something on your iPhone, you can turn up the volume using Siri. When you turn up the volume in the Settings app, your iPhone will make noise when you adjust the Ringer & Alerts slider even if your iPhone is on silent. If the sound coming from your iPhone speaker is very, very soft, even when the volume is turned all the way up, or if it sounds like the speaker is blown, your speaker is almost certainly damaged and you’ll need to get it repaired. Your iPhone can be “tricked” into thinking that headphones are plugged in if there is gunk, lint, or other debris in the Lightning (charging) port. If your iPhone thinks that headphones are plugged in, audio won’t be streamed through the speakers. How Do I Make Sure My iPhone Is Not In Headphones Mode? One quick way to see if your iPhone is stuck in headphones mode is to press the volume buttons on the left side of your iPhone. 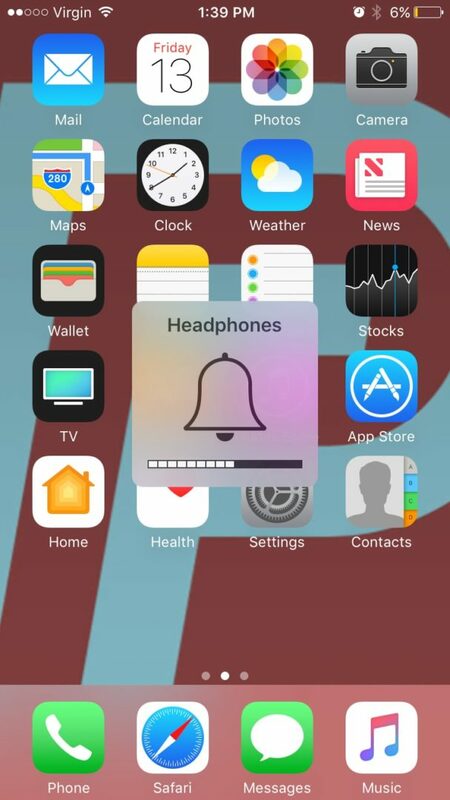 If the notification that pops up says “Headphones” then your iPhone is in headphones mode. Using a flashlight, inspect your Lightning port or headphone jack for lint, gunk, or any other debris. If you see something stuck in your Lightning port, brush it out using an anti-static brush or new toothbrush. Do not brush debris out of your iPhone with anything that conducts an electric charge or damage the electronic components in the bottom of your iPhone. To learn more, read our article on what to do when an iPhone gets stuck in headphones mode. Disconnect from AirPlay devices to make sure your iPhone isn’t streaming audio through another device (such as an Apple TV) rather than your iPhone speaker. Sometimes, your iPhone will automatically reconnect to AirPlay devices that you’ve used before. How Do I Disconnect My iPhone From AirPlay Devices? Open Control Center by swiping up from below the bottom of the screen. Tap the AirPlay icon which looks like a TV. You’ll know your iPhone is connected to an AirPlay device if the AirPlay icon is blue and the name of the device (such as Apple TV) is next to the AirPlay icon. 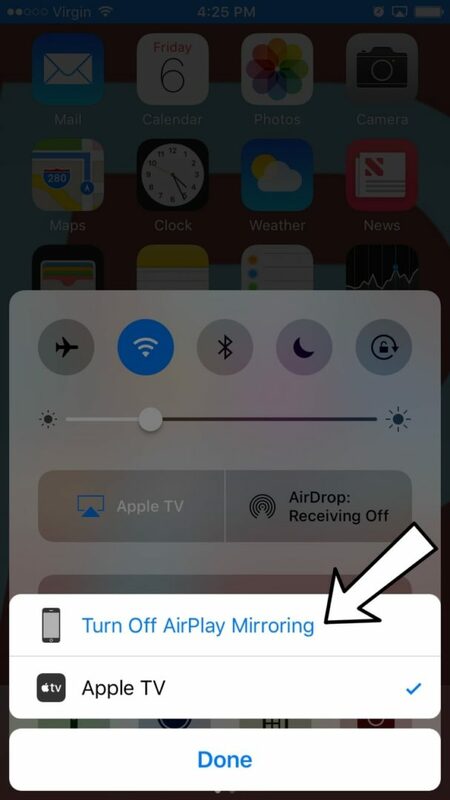 If you are connected to an AirPlay device, tap Turn Off AirPlay Mirroring. Now that you are disconnected from AirPlay devices, sounds will be streamed through your iPhone speakers. If you’re having trouble opening Control Center, you’re probably not swiping up from low enough. 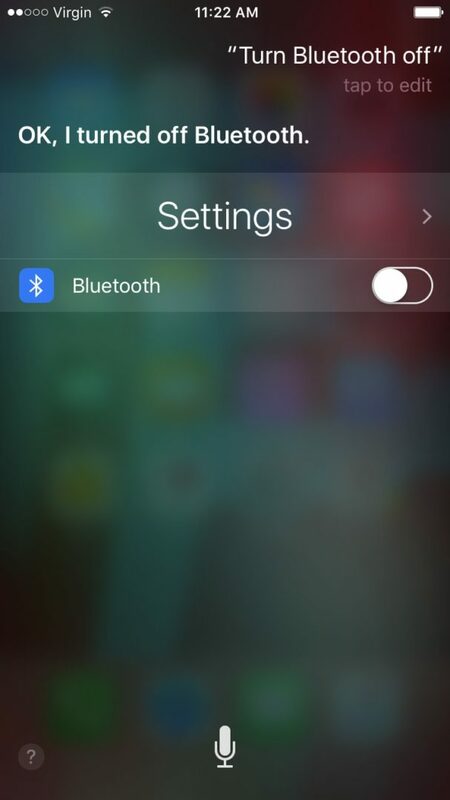 Turn off Bluetooth to automatically disconnect your iPhone from any Bluetooth devices it is currently connected to. Why Should I Disconnect My iPhone From Bluetooth Devices? Turning off Bluetooth is an important troubleshooting step for diagnosing sound or ringer-related iPhone problems. Often times, even though it seems like an iPhone isn’t playing sounds at all, the iPhone is connected to a Bluetooth device like an external speaker or headphones, and the sound is playing through that device and not the iPhone. Turning off Bluetooth disconnects your iPhone from those devices and is an easy way to eliminate that possibility. How Do I Disconnect My iPhone From Bluetooth Devices? Tap the switch next to Bluetooth. You’ll know Bluetooth is off when the switch is gray. Tap the Bluetooth icon, which looks like a “B” made of triangles. 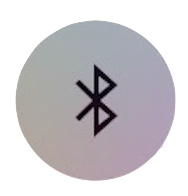 You’ll know Bluetooth is off when the icon is black inside of a gray circle. You can check to see if Bluetooth is on by looking in the upper right hand corner of the screen. If you see the Bluetooth icon next to the battery icon, then Bluetooth is turned on. A DFU (Device Firmware Update) restore is most in-depth reset you can do to an iPhone. A DFU restore uses your computer to erase and reload all the code that controls both the software and hardware on your iPhone. Why Should I DFU Restore My iPhone? A DFU restore has the potential to fix software problems by completely erasing the code which may be causing your problem. The code is rewritten as if your iPhone is brand new, so the software problem may get solved. Think of it like a house that has cracks in the foundation. Rather than try and fix the cracks, we are building an entirely new foundation. How Do I DFU Restore My iPhone? Using a Lightning cable, plug your iPhone into a USB port on your computer. Open iTunes. It doesn’t matter if your iPhone is on or off. Press and hold the Power and Home Button together for 8 seconds. Let go of the Home Button. Your iPhone’s display will be completely black if you’ve successfully entered DFU mode. If it’s not, try again from the beginning. 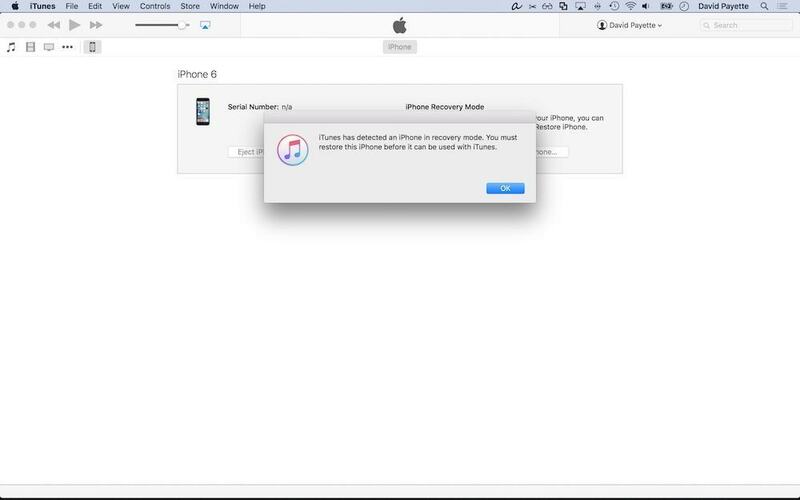 Restore your iPhone using iTunes. If you can, back up your iPhone before completing a DFU restore. Any time you do a restore, it erases everything from your iPhone. However, after the restore is completed, you restore all your backed up data back onto your iPhone. Learn more about DFU restores in our article: How To Put An iPhone Into DFU Mode, The Apple Way. 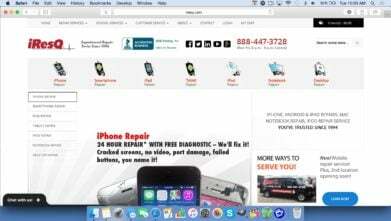 A damaged component can prevent your iPhone from fully completing the DFU restore. If your iPhone is damaged in any way, a DFU may break your iPhone. In Apple jargon, the power button is also known as the Sleep / Wake Button. 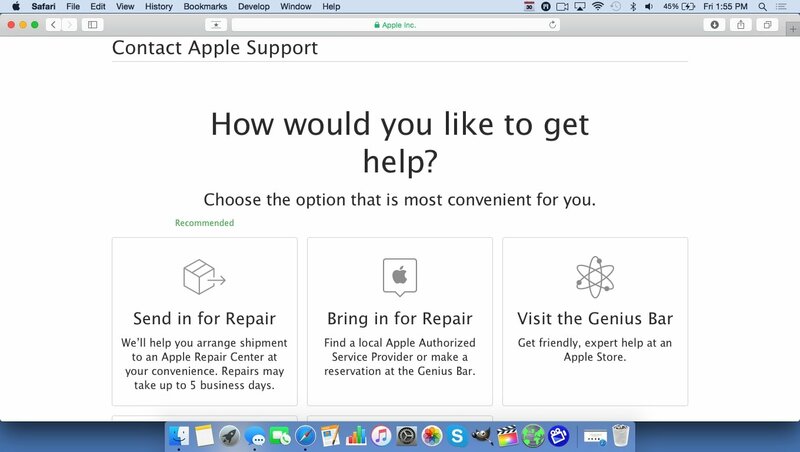 Apple repairs iPhones at the Genius Bar in Apple Stores and through their online mail-in repair service. Apple repairs are high-quality, but out-of-warranty repairs can be much more expensive than third-party solutions. If you’re looking to save some money you’re not covered by Apple’s warranty, you may want to check out our other recommendations. How Do I Explore Repair Option 1: Apple? 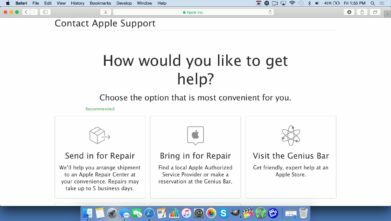 Visit Apple’s support website to begin the online mail-in repair process. Alternatively, call 1-800-MY-APPLE (1-800-692-7753) to set up a repair. When you arrive, go to the Genius Bar to check in for your appointment. Genius Bar appointments always include free diagnosis. If you’re under warranty, many repairs can be done on the spot, but it all depends upon which parts are in stock. If you’re not under warranty, the Genius will give you a quote for the cost of a repair. If you’re not sure whether your iPhone is still under warranty, you can find out on Apple’s website. Apple repairs are covered by a 90-day AppleCare warranty. In some cases, Apple will not repair devices that are older than five years old. These devices are classified as vintage or legacy. Puls is a “we come to you” iPhone repair service that will meet you at your home, office, or Starbucks to repair your iPhone in as little as 30 minutes. Every Puls repair is backed by a lifetime warranty and their prices tend to be a lot less than Apple’s. Puls repairs broken iPhone screens, batteries, speakers, cameras, charging ports, and more. The only drawback at this point is that Puls isn’t available everywhere (they’re mostly in major US cities). How Do I Explore Repair Option 2: Puls? Select iPhone by clicking on the box with an image of an iPhone. Select the model of your iPhone. Select the color of your iPhone. Every Puls technician has passed a background check. 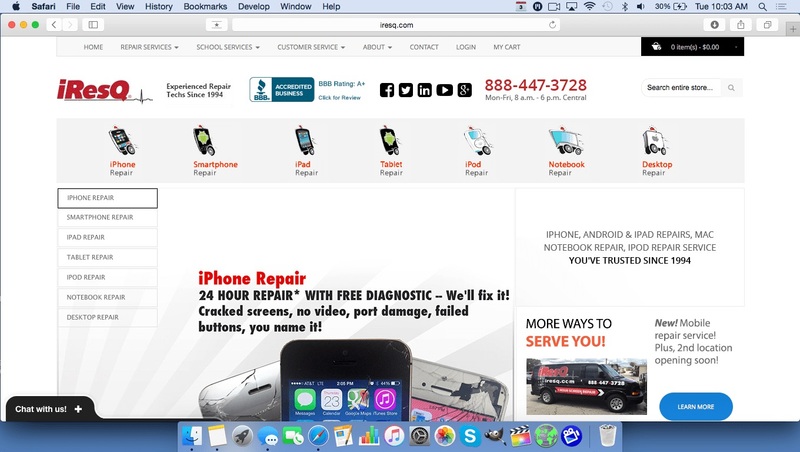 iResQ is a high-quality mail-in repair service that offers a wide variety of repair options, including some smaller repairs that Apple won’t do at all. Their repairs can cost a lot less than Apple. How Do I Explore Repair Option 3: iResQ? Select the Repair Service you want to have completed and proceed to checkout. Every iResQ repair is covered by a 90-day warranty. Previous Article9 Best Holiday Deals On iPhone Accessories & Gifts! Next Article Why Won’t My iPhone 7 Charge? Here’s The Real Fix!